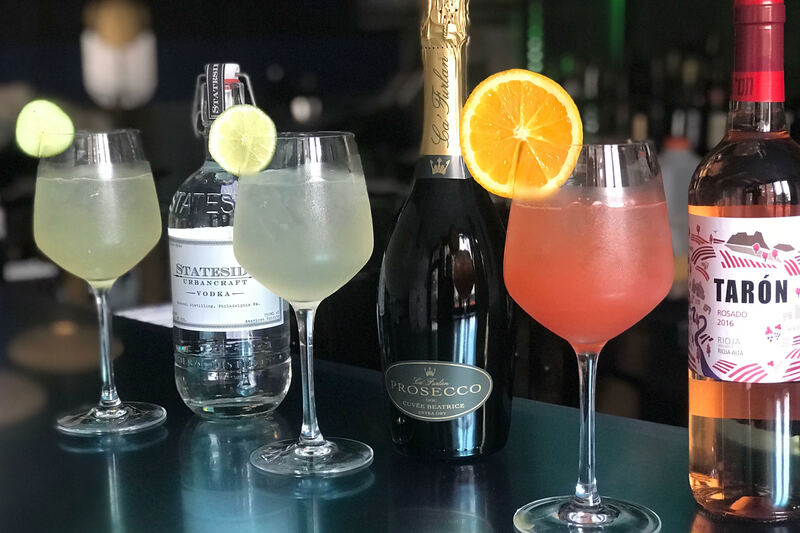 Jet Wine Bar introduces the Summer of Spritz with this amazing month of these tremendous cocktails to cool you down. You can choose your favorite bubbly beverage from the lineup of the Italian Stallion Spritz (ca’ furlan prosecco, white vermouth, lime, sparkling water), the Whtie Peach Rosé Spritz (rosé wine, white peach, aperol, lemon, sparkling water), and The Philly Special (stateside vodka, white wine, cucumber, lime, sparkling water). The Italian Stallion and White Peach Rosé are both $11. 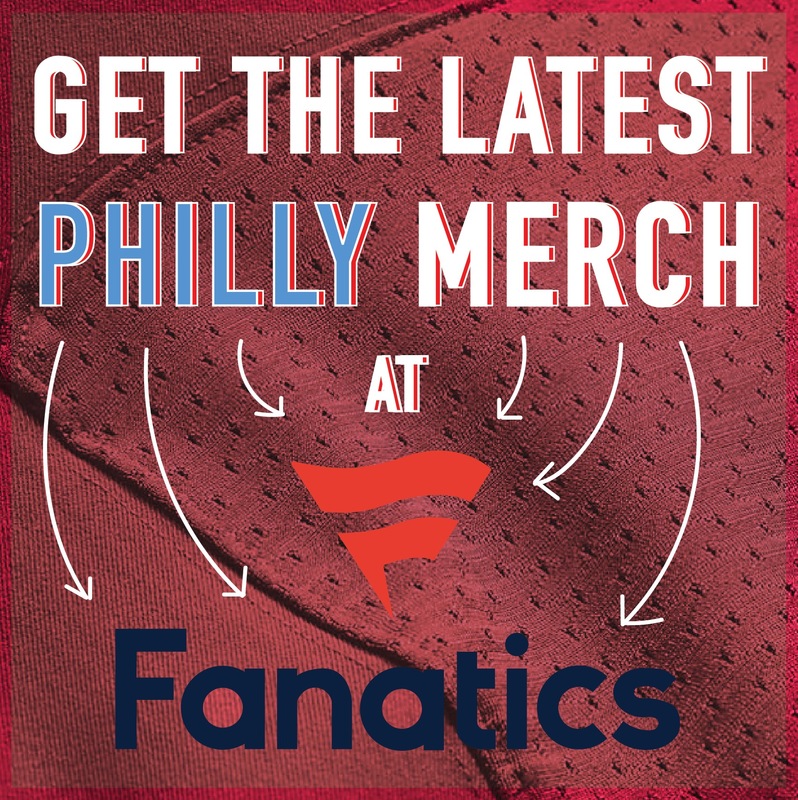 The Eagles-themed Philly Special is $14. 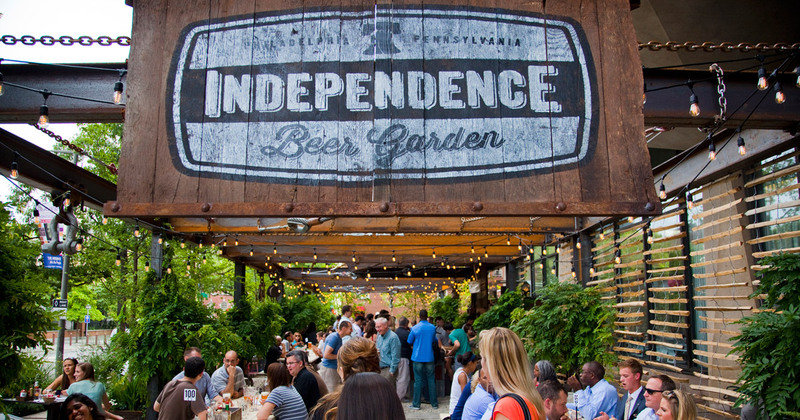 Independence Beer Garden: Independence Beer Garden immerses you in the summer rays and the liveliness of an outdoor venue. The Center City Sips menu includes discounted seasoned popcorn, onion rings, wings, sliders, tacos, and more. Try a $5 Tequilla Bramble, any of thine countless, brews, and selection of wines. James: Come to South Street bar and restaurant James for a $6 Spicy Paloma (Hornitos Tequila, Agave syrup, Grapefruit juice) or Strawberry Margarita (Hornitos Tequilas, fresh lime juice, and strawberries). There’s plenty of mall bites to choose from including cheesesteak egg rolls, a big easy quesadilla, and more. Ladder 15: Ladder 15‘s Center City Sips highlighted menu includes, Cherry Water Ice, Mango Sansom, and Sauza Hornitos Margarita cocktails. You can pair your $5 Sycamore Lane Pinot Grigio or Sycamore Lane Pinot Noir with truffle fries, house made hummus, and plenty other half-priced appetizers. Amada: Amada is Iron Chef Jose Garces’ modern spin on a traditional Spanish tapas restaurant. The discounted small plates include Tortilla Espanola, Chistorra Sausage, and Salsa Brava. You can pair those simmering dishes with a Victory Summer Love or a Tie Me Up Tie Me Down (lemon rosemary martini) cocktail. Lucha Cartel: Lucha Cartel will be serving up discounted chicken or mushroom empanadas for Old City Eats. The beer of choice during these hours will be the $4 Presidente. The House Margarita (lime juice, simple syrup, tequila) will be a great and wallet-friendly way to cap off a Thursday Summer night. Chez Ben Bistro: This new restaurant is part of the recently opened Renaissance Hotel in Old City. Try the Spicy Sliders, French Curry Yogurt, and more at this trendy spot. Their specialty cocktail includes Faber Citrus Vodka, ginger syrup, lemonade, and fresh Basil. For beer lovers, the Kronenbourg 1664 is up for grabs for just $4. Parks on Tap: Parks on Tap will be at Shofuso Japanese House and Garden this week. 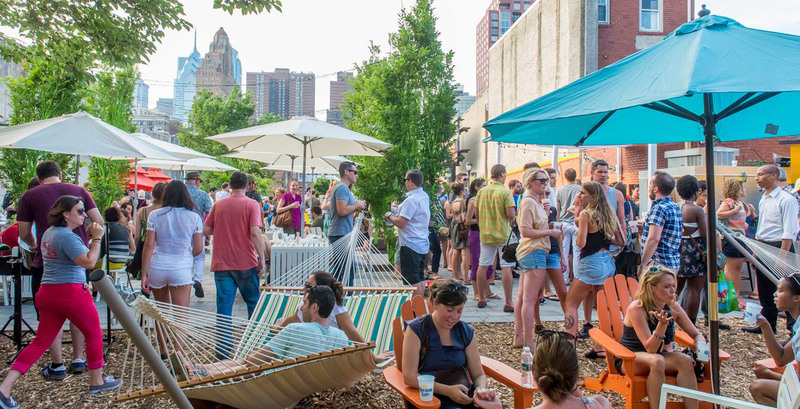 The roaming beer garden will have local craft beers, food trucks, free yoga, and a Japanese star festival this Saturday and Sunday. 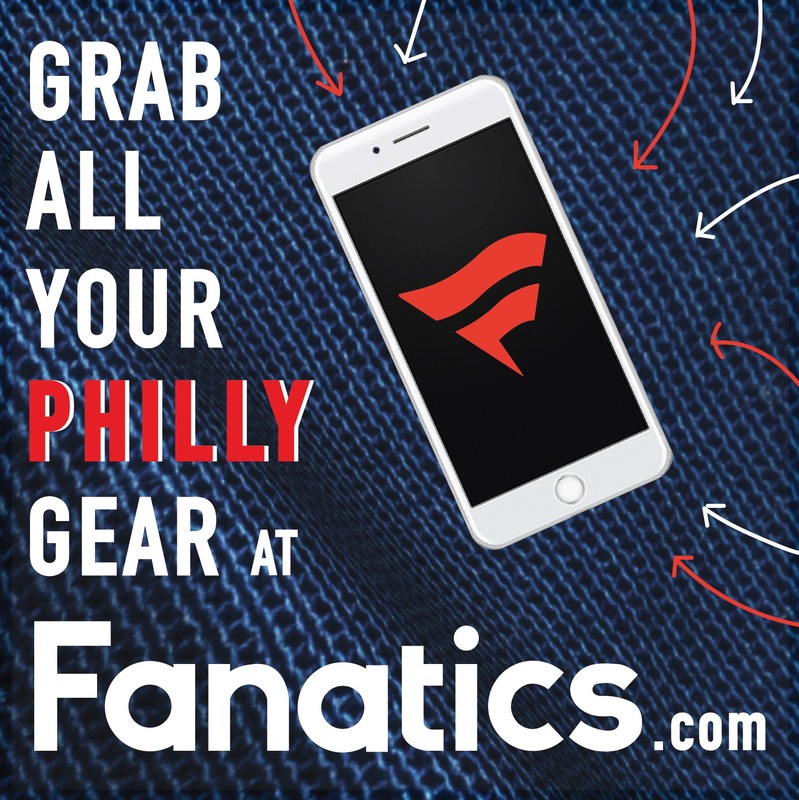 Historic Philadelphia Block Party: This Tuesday from 12 pm-7 pm come to Independence Mall for a massive block party. There will be live music, food, beer gardens, and more. Summer Beer Garden at Mutter Museum: late-night hoursThe Mutter Museum will have special this Tuesday, July 3rd. The institution will be serving up drinks at their beer garden. There will be specials all night, food, great views, and a pop-up exhibit. Brews & Views: The Skyline Terrace will be offering up great views from the Parkway Central Library’s rooftop. On Tuesday, July 3rd, starting at 5 pm, you can stop by to get beers, wine, cocktails, and small plates. Independence at The Deck: This Tuesday from 10 pm-2 am, Moshulu will be hosting a boat party. This LGBT community event will have drink specials, live music, and more. 2 Dollar Tuesday: Golf & Social will be the place to be this Tuesday night for 2 Dollar Tuesdays. This pre-July 4th soiree will have no cover with RSVP, $2 tacos, $2 drinks, and will feature the latest hits spun by DJ OBOY. The party starts at 7 pm. U+Me+RNB: Noto Philadelphia will be hosting a U+Me+RNB party this Tuesday night. The entertainment and music venue will be playing the best vibes in R&B all night long starting at 10 pm. This Thursday night NOTO will also be having a We The People party running from 10 pm-2 am. Night Before the 4th: Cavanaugh’s Riverdeck will be hosting a Night Before the 4th party this Tuesday. There will be a $5 cover, beer and drink specials, games, contests, and more. The party starts at 9 pm. Chill Moody A Night of Nice Things: Indie will be hosting an official Chill Moody Welcome to America July 4th afterparty. Come out this Wednesday from 10 pm-2 am for this Hennessy sponsored event. There will be free Hennessey drinks from 10 pm-11 pm. DJ Caution will be providing the soundtrack for this blowout party. The event is free before 11 pm with RSVP. 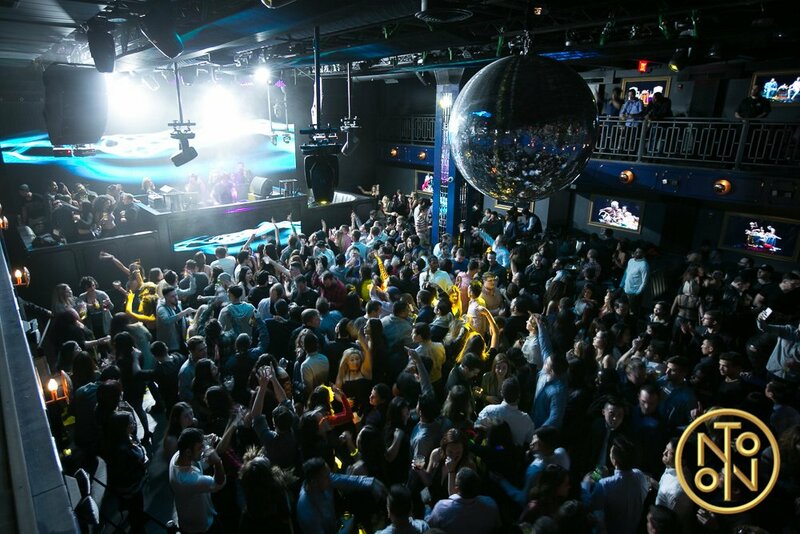 Blue Martini July 4th Day Party: This Wednesday Bleu Martini will be celebrating the “No Work No School Next Day” motto with an Ankara In The City day party. The festivities will begin at 3:30 pm and ends at midnight. R&B Day Party: This Saturday night Indie will be hosting am R&B Day party from 4 pm-9 pm. There will be all you can drink well drinks, a hip hop and reggae party kicking off at 9 pm, and a jumping dance floor all night.